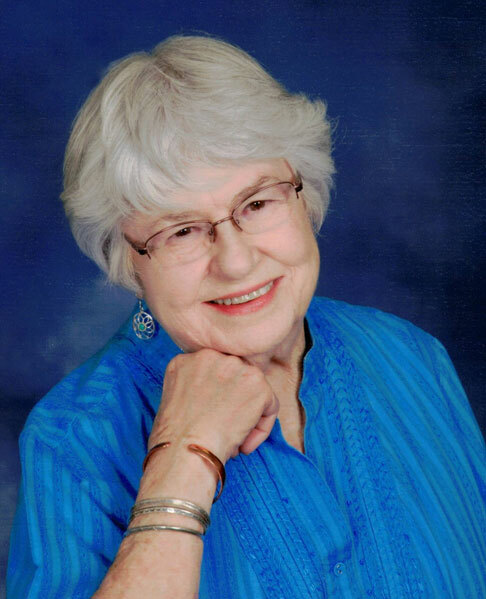 Barbara Lucile Wolfenbarger, age 87, passed away on November 20, 2018 in Las Vegas, NV. She was born on October 10, 1931 in Whiteriver, AZ to Mary Alice and J. B. “Pete” Poer. Barbara married Billy J. on May 16, 1954 in Farmington, NM. After starting a family in Albuquerque NM, Barbara and her family spent a short time in Oklahoma and then moved to Boulder City, NV 58 years ago. Barbara was a faithful member of Grace Community Church in Boulder City. She was part of the church family and prayer group and she made their communion bread for many years. Barbara was an active member of the PEO (Providing Educational Opportunities) Sisterhood. Weekly canasta and lunch with a loving and ever evolving set of friends provided fellowship and mutual support. Sewing, crafting, and cooking were more than Barbara’s hobbies, they were her way of being. She loved and was loved by many. Barbara is preceded in death by her parents, her husband Billy J., and brothers Donnie and Gordon. Barbara is survived by her three sons David (Alicia), Bruce (Teresa), and Ned (Janice); siblings Patsy (Robby), Ray, and Margaret Ann; and four grandchildren Zachary, Cierra, Thorne, and Kyra.